Brandon found and altered this flourless chocolate cake recipe after my birthday dinner this year, when we had such a delicious version at a french restaurant in Austin. It's SO easy to make, that it's crazy. For the Feast of Aquinas, I made two of the normally thin cakes, and put chocolate ganache in between them, then covered them both in ganache as well. YUM and RICH. SOOOO rich. You really have to be prepared for a piece of this stuff. 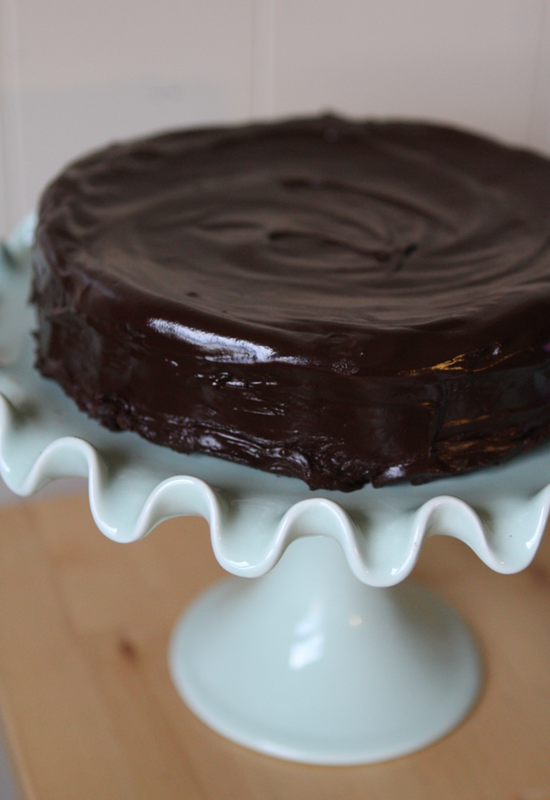 I used THIS ganache recipe.